ARA Electrical High Voltage Services Pty Ltd trading as Transelect is an Australian company that provides high voltage and low voltage electrical services throughout Australia. Transelect carries out both design and construction works on transmission, distribution and low voltage overhead and underground networks. 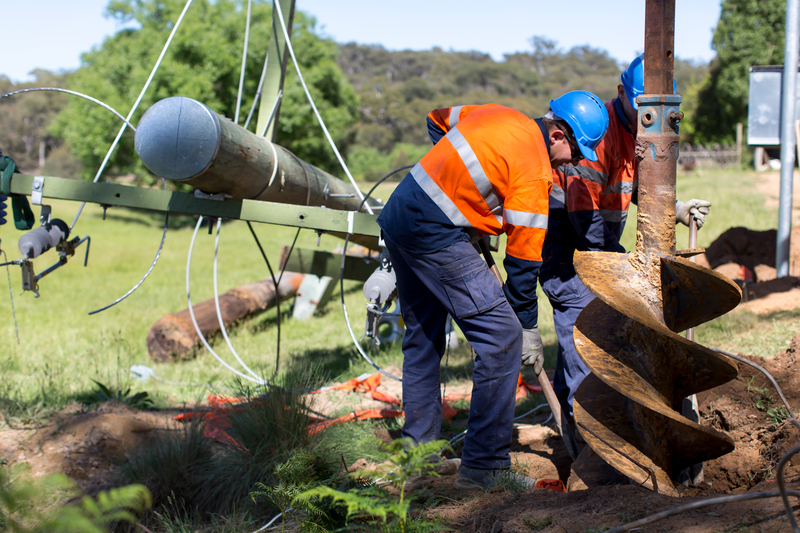 Our services range from low voltage residential connections to 132kV infrastructure projects. Transelect has a highly capable team of specialists providing maintenance and breakdown support of high voltage networks. Transelect was established in 2000 in the NSW Illawarra region. In 2008, Transelect joined the ARA Group, a group of companies specialising in building and infrastructure services for industrial, commercial and government markets. In 2014, Transelect ceased trading as Tony Pollard Electrics Pty Ltd and adopted the company name of ARA Electrical High Voltage Services Pty Ltd.
Transelect has offices in Medowie, Nowra, Sydney, Wauchope, and Wollongong and delivers electrical services throughout Australia. Transelect has an uncompromising commitment to customer service at all levels of the organisation. We employ a team of engineers, project managers, technical specialists, estimators, power line workers, cable jointers and electricians. Providing high voltage and low voltage electrical services throughout Australia.